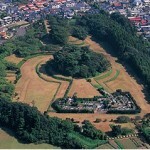 This circular‐shaped ancient tomb with a square front was built at the east edge of “Medeshima” hills,40 meters above sea level, in the center of the city. 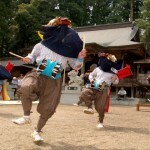 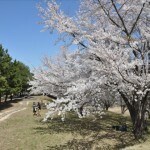 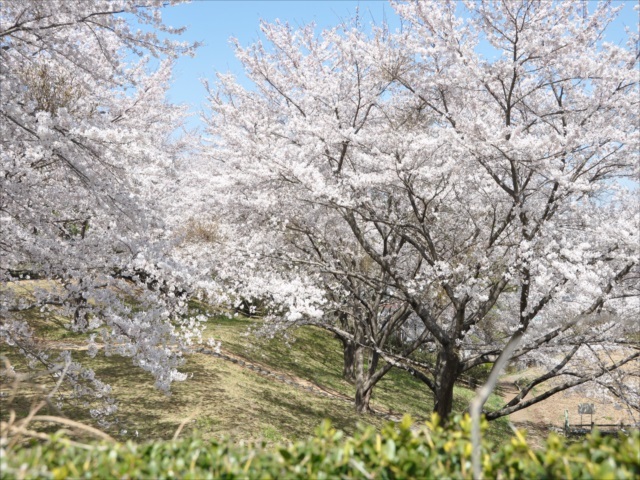 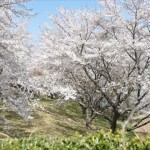 It has been designated as a historic monument by the government of Japan. 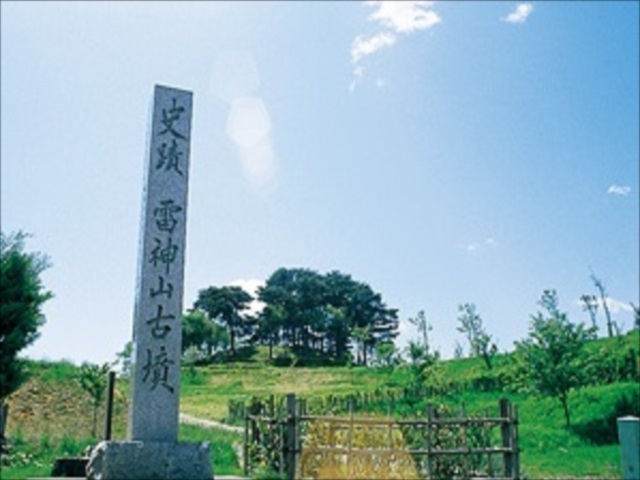 Dimensions: main axis, 168 m; diameter of the circular rear-end, 96 m; height of the circular rear-end, 12 m; length of the front square section, 72 m; height of the front square section, 6 m.
The ancient tomb is a three-tiered structure covered with stones. 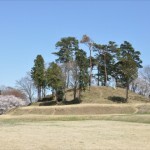 It has been presumed from the features of the early tumulus that this burial mound was built sometime between the end of the 4th century to the beginning of 5th century. 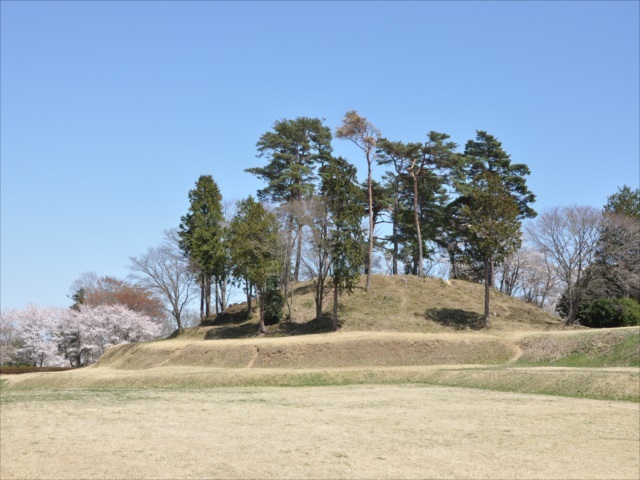 Some pot-shaped earthenware and vessels were excavated from inside; therefore, it thought to be the tomb of a chief of a powerful local clan who governed a considerably wide area. 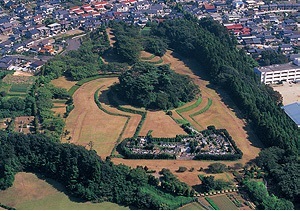 There is a small shrine dedicated to “Raijinyama-Kofun”, literally meaning the mountain god of thunder”, at the top of the burial mound. 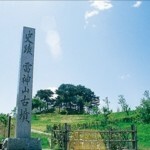 Currently, the tumulus is maintained as a historic park, and it is being cherished by many people of the public. 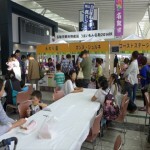 Free parking is available for 30 vehicles. 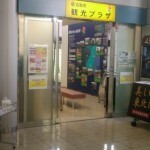 Take the bus along the Tatekoshi Natori Station bus line (Natorin-go), and get off at "Tatekoshi Gakko-mae". 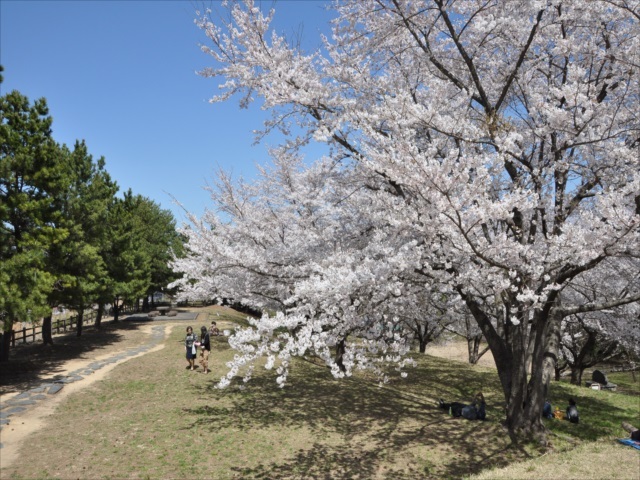 It is about a 15-minute walk from the bus stop. 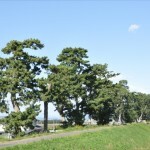 250 years old Kuromatsu trees (Japanese black pines). 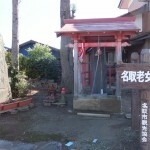 The first shrine from ‘Natori Kumano Sanjya’ which was prayed for the coming of a deity by old lady.